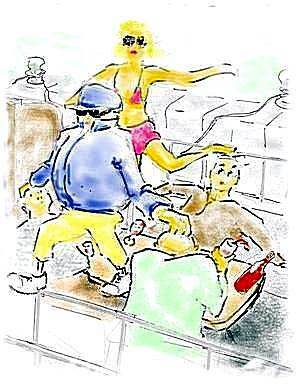 Boating etiquette is all about being a good neighbour and minding your manners when afloat. Old hands can sometimes be quick to judge newcomers who unwittingly transgress. There is nothing difficult or arcane about these customs. They are simple traditions that help to keep our increasingly crowded waterways pleasant and friendly for everyone. Everyone should be acquainted with the COLREGS, flag etiquette and radio procedures. However, there are certain customs and traditions that, while some have a safety aspect, are really about keeping our increasingly crowded waterways pleasant and friendly. Just as there are social norms you're expected to know on land, you should be aware of the basic rules of boating etiquette. Sailboat owners should remember to tie back running rigging, there is nothing worse than lying awake listening to other boat's halyards Frapping in the breeze. Don't hog any temporary loading or fuelling slips, others may be waiting to use them. 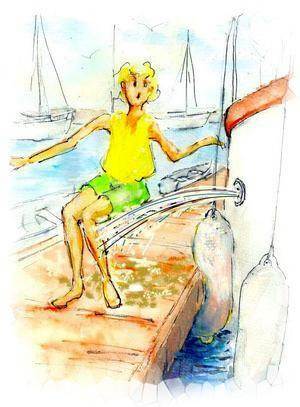 Never discharge your waste in a harbour or a marina. Coil your ropes, cords and hoses and don't have them cross the dock, they are serious tripping hazards, particularly at night. Don't stow your gear on the dock, it's just another hazard for others to contend with, that's if it doesn't disappear. Don't leave food or garbage out in your cockpit or on the dock. Always ask permission before boarding another boat. If you are going to raft up, communicate in advance with the other boats to see who is going to be involved and in what order. When boats are rafted, cross over via the bows to get to the dock. It is bad etiquette to cross over boats through the cockpit. Shut off electronics cell phone when not in use and when you leave your vessel. Don't use your barbecue in the marina. DO clean up after your dog. If you've used a piece of equipment intended for common use, put it back where you found it. When you are walking along a dock, don't peer into other's boats. Prepare lines and fenders before entering harbour and leave them on the deck until you near the dock. The other is to go into a sheltered place from wider waters." A good day on the water, can be spoilt by a lack of good boat ramp etiquette. When launching, prepare and load your boat in the parking lot or an out of the way place. Take off covers, tie-down straps (except bow strap), install electronics etc and load up with anything you're planning to take along. When it's your turn to launch, do it as quickly and comfortably as you can. Once the vessel is afloat and clear of the trailer move her aside, away from the launching side of the dock and then move your vehicle of the ramp, park well clear in an area where you are not blocking traffic. You should observe the same etiquette when you return to the ramp to retrieve your boat. Tie up to a temporary dock or to the side of the ramp while you discharge passengers and return with your tow vehicle. Don't waste time on the ramp draining or cleaning. Try not to have others waiting on you unnecessarily, it works both ways. 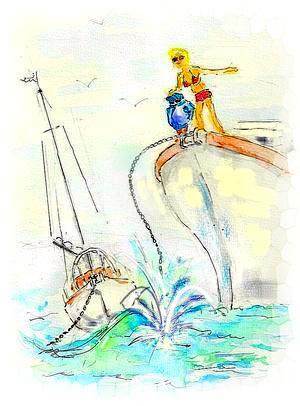 Always treat other boaters with consideration while underway. Power boaters must be aware of the affect their wake can have on smaller boats and sailing vessels, slow down and be sure to give them a wide berth. When boating near sailing vessels, it is etiquette to reduce speed to minimize your wake and always pass to their stern and or their leeward sides. 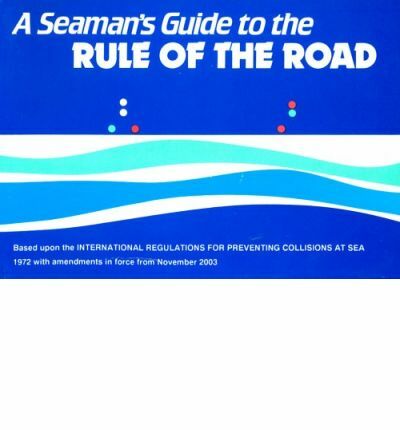 Sailing vessels should never interfere with a power vessel just to exert its right of way. Slow down if another boat is trying to overtake you. When overtaking a slower vessel in open water, do so with as much room as depth and conditions will allow and slow your speed, if necessary, to minimise your wake. It is good manners to make sure you get permission before picking up a guest mooring. Most people looks for privacy when they anchor, respect the privacy of your neighbours in the anchorage. Always enter an anchorage or mooring area at a slow speed so as minimise any wake. Etiquette and tradition dictates that the first boat in to an anchorage sets the precedent, eg scope and swinging radius etc. But not at the cost of trying to hog the anchorage by laying out too much scope. Subsequent arrivals should attempt to match these configurations. However, if they do not have enough scope out it might be prudent for you to go elsewhere. Don't anchor too close or directly upwind of another boat, always allow room for the vessels to swing. Develop an anchoring system and a set of hand signals to communicate with one another to avoid the embarrassing shouting. If you have a noisy crew, children, pets or if you intend to light a barbecue or use a generator on board anchor downwind of your neighbours. Frapping halyards, my pet hate, tie them back. Dinghy etiquette, dictates driving slowly through the anchorage without creating a wake. If you are using your dinghy at night to go to shore or visit others in the anchorage, do so under oars rather than using your outboard. If you need to use a spotlight make sure you don't inadvertently blind your neighbour or shine it into other people's boats. Don't empty your heads or bilges in small coves or jettison rubbish, including biodegradables. The etiquette for approaching another vessel is do so on their starboard side, six to ten feet away and call out, "Ahoy, vessels name". Never ever go knocking on the windows except in an emergency. It is courteous to request permission to tie up and come aboard. There is nothing wrong with letting people know that something they are doing is bothering you.